Andy: It has a really bitter orange flavor, it’s not overly sweet, definitely a great modifier. 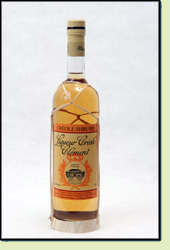 Adrian: This Clement Liqueur has an orange zest flavor, much different than the typical liqueurs out there and stands on its own. I think this is nice on ice sipped, and might be really good to modify food and drink with.